Readathon Update Number 1 – my books. my life. 7 1/2 hours in and my first update. I told you this was going to be a lazy Readathon for me. 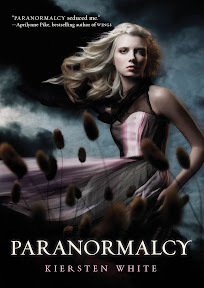 So far I have finished one book, Paranormalcy by Kiersten White. It was a great Readathon book – paced just right to keep me reading. 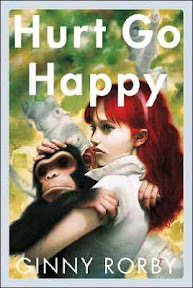 I am currently working on my second book of the day, Hurt Go Happy by Ginny Rorby. 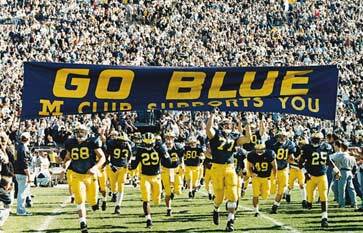 But I am taking a pretty decent break right now to watch the Michigan/Michigan State football game. I’ll probably squeeze some reading in there but I’m a little too anxious/excited for this HUGE game to really concentrate. I’ll try to squeeze in some Cheerleading as well. Happy reading to all participants. And a big thanks to the cheerleaders for leaving wonderful comments. Paranormalcy is on my tbr list. How was it? I hope your team won! I took a break and stayed up to watch the Yankees/Twins game. Enjoy your reading when you do get back it. You’ve done great!